Imagesby2 Event Photography & Photo Booth rentals located in Los Angeles, CA recently used the dslrBooth software for a party celebrating the hit show The Four. 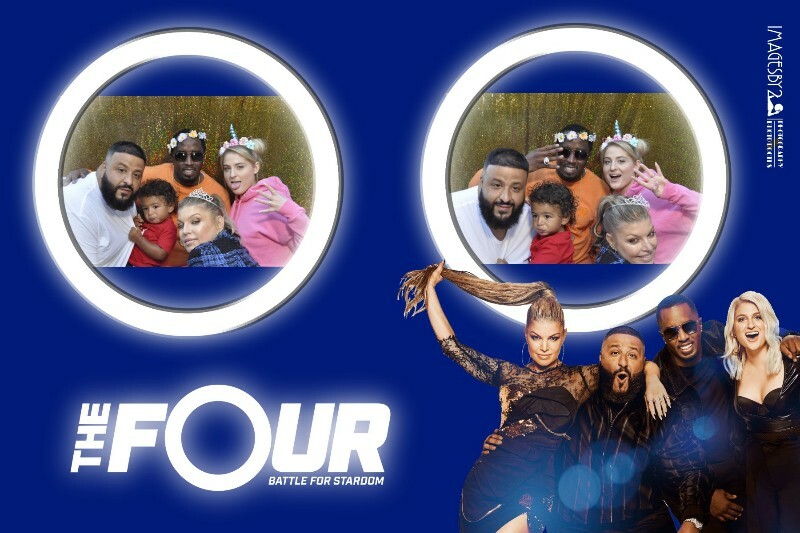 In attendance were the host and judges Fergie, PDiddy, Meghan Trainor, Dj Khaled and Son Asahd. Tulio & Joanne Diaz, owners of Imagesby2, have been in the photography business for 6 years, with 3 years in photobooths. The majority of their events include small VIP and celebrity gatherings for birthday parties and shows such as The Four. They have worked with celebrities such as Jamie Foxx, Quincy Jones and Brie Larson. Imagesby2 uses the suitcase sitting on a single pole speaker stand, carrying a Nikon D750 DSLR with Sigma 24-70 Art lens, Nikon 950 flash with convertible Dell Laptop and a DNP RXHS1 Printer. 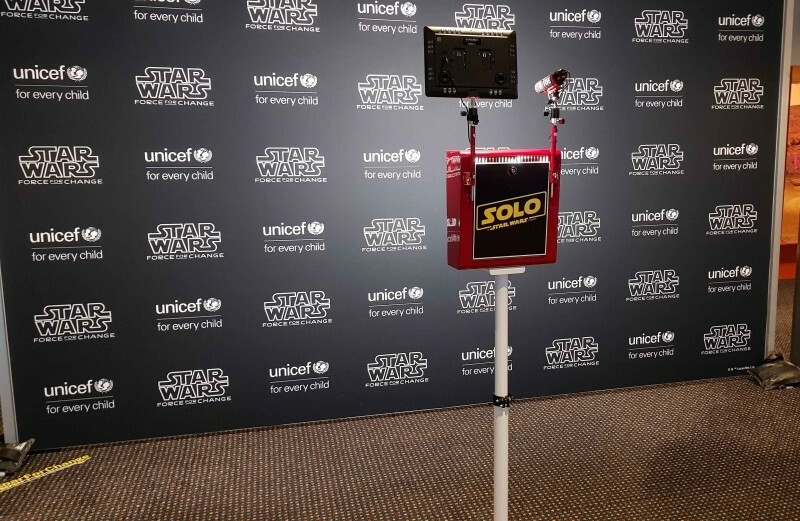 Social Exposure located in Melbourne, Australia recently used the dslrBooth software for a video booth at a charity event for Unicef and Star Wars. At the Powerhouse Museum in Sydney, Australia, Star Wars Ultimate Fan Weekend brought in 22,000 Star War fans. 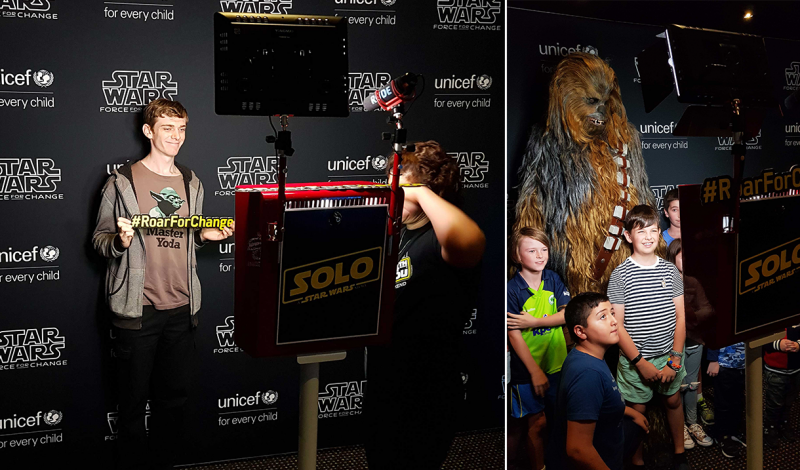 Social Exposure challenged the guests to record a video doing their best Chewbacca Roar. 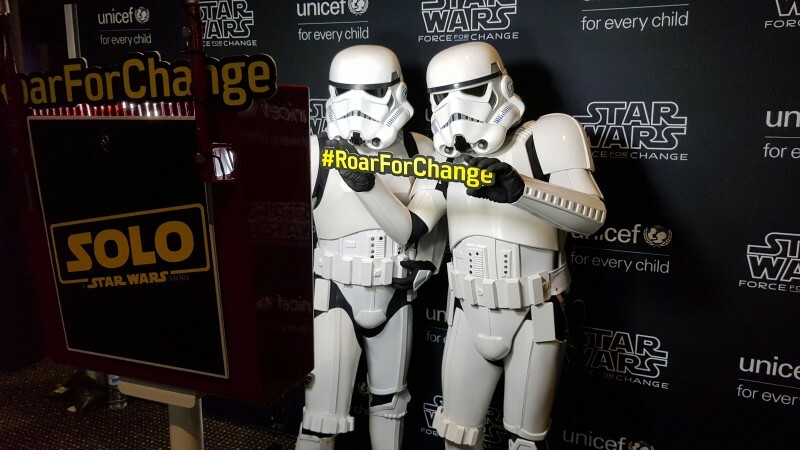 Each public post, like or share on Facebook, Instagram and Twitter tagged with the hashtag #RoarForChange, raised a $1 donation towards Unicef. The campaign reached its ultimate goal of one million dollars in just over 24 hours! Social Exposure used an open booth set up equipped with a Surface Pro tablet and Canon T5i along with external microphone and LED panel. Using the Virtual Attendant in dslrBooth, Social Exposure added real Chewbacca sounds to entertain the attending guests. Located in Toronto, Canada, Photo Kiosk Rental uses both dslrBooth and hashPrinter for their photobooth and hashtag printing kiosks. They may not know it, but everyone you meet likely owns intellectual property. While they may not own a patent or a trademark, almost everyone is a copyright owner. In the United States, copyright is a type of intellectual property reserved to protect original works of authorship including literary, dramatic, musical, and artistic works, such as poetry, novels, movies, songs, computer software, architecture and, of course, photographs. Photo booth software makes it easy to start an event photography business where hundreds, if not thousands, of pictures may be taken at a single event. In this short article, we will give a brief primer on copyright law and discuss common issues that may arise. Copyright is a form of intellectual property protection grounded in the U.S. Constitution and granted by law for original works of authorship fixed in a tangible medium of expression. Everyone generally understand what “original” means. A work is “fixed” when it is embodied in a tangible form that is perceptible by the human senses, either directly or with the aid of a machine. For example, a painting is fixed because it can be seen with the human eye on a canvas. A song recording is also fixed because it can be replayed and heard by a listener. Copyright law grants authors and artists the exclusive right to make and sell copies of their works, the right to create derivative works, and the right to perform or display their works publicly. You may hear this referred to as the “bundle of rights” of a copyright. Those rights begin to exist automatically at the time of creation of the work. 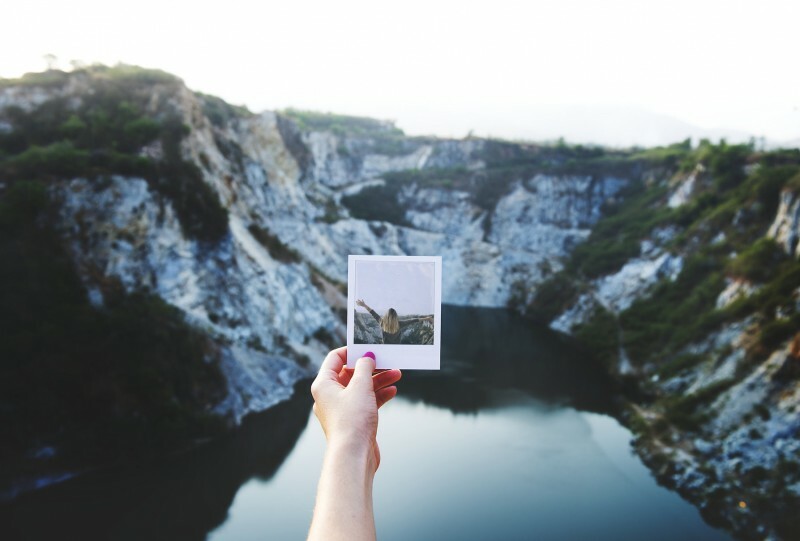 In the case of a photographer, the rights exist the moment that a photograph is taken and stored digitally on a camera, or on a film. You will often hear of registering a work at the Copyright Office. This is not required in order for an author or artist to have the bundle of rights. However, there are certainly many benefits to registering creative works, including bringing an infringement lawsuit, or the ability to recover certain damages or attorney’s fees. Ownership of copyright is a fact-intensive issue. 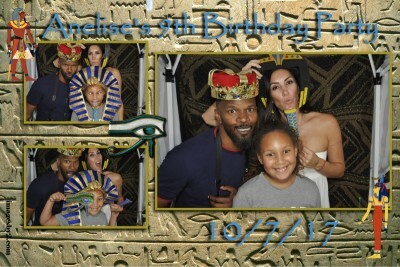 Operating a photo booth is an interesting example to consider. First, photo booth software runs on code that is subject to copyright and owned by its creator. Second, the majority of photo booth softwares provide a number of templates for events, each of these templates being subject to its own copyright, separate from the code. Thus, a competing software cannot simply take the code or the templates and use them. The creators of the photo booth software provide this software and the templates under a license to customers to use them within certain limitations. When a photograph is taken, copyright ownership vests in the author of a work. The author is typically the person who literally creates the photograph by pressing the shutter release. In some instances, however, the author is defined as the person directing the creative vision of the work, such as choosing the lighting, composition, costumes, and settings. Thus, as is often the case, a camera or a photo booth can be set to a timer, and the author of the work does not actually press the shutter release. In fact, you may have heard of a recent case colloquially called the “monkey selfie copyright” case, where PETA unsuccessfully attempted to set a legal precedent that animals can be declared copyright holders. The results are not always intuitive, and complicated facts will require a thorough analysis, often by a copyright attorney. The most relevant part of this agreement is the first, which states that you agree to grant Facebook a royalty-free license for your photographs. Note that this license ends when you delete your photograph, unless you photograph has been shared with others and they have not deleted it. Thus, if a certain photograph (say of a celebrity) goes viral, you may not be able to put the genie back in that bottle. This is to say nothing of third-party actors who may come across and use content you have shared publicly. As a pragmatic matter, clearly watermarking your photographs and having clear contractual language about your copyright with your clients will serve you well. Policing your own content is also a good idea, and can be easily done with websites such as TinEye. Peter D. Sleman is a partner at Wei & Sleman LLP. This article is for general information purposes and is not intended to be and should not be taken as legal advice. SD Photo Booth, based in San Diego, California, started using dslrBooth in 2012. They first came across the software at the Photo Plus convention and soon after downloaded dslrBooth’s free trial. SD Photo Booth uses dslrBooth mostly at corporate activations to help spread brand awareness for the company that hired the booth. The customization of the templates, start screen and other functions allow for branding from the time the guests step into the booth to when they receive their print. Some of SD Photo Booth’s favorite features include the surveys, automatic Facebook page uploads, GIFS and boomerangs. While those features are some of their favorites, what they find the most useful is the template editor. SD Photo Booth chose the software due to its ease of use and the simplicity in teaching it to their other staff members. Currently SD Photo Booth has a total of 5 booths in use. SD Photo Booth existence dates back to early 2012. 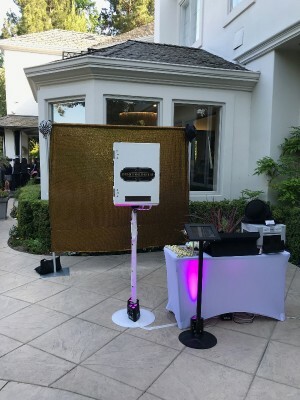 They got started by working a few gigs with dslrBooth software, their early involvement with development process of the photo booth industry allowed them the advantage of knowing the ins-and-outs of the market and also insured that they stayed ahead of the curve with any type of event. SD Photo Booth quickly learned that Corporate events is their passion. They have worked with some of the biggest clients such as Southwest Airlines, Sports Illustrated, Entertainment weekly. 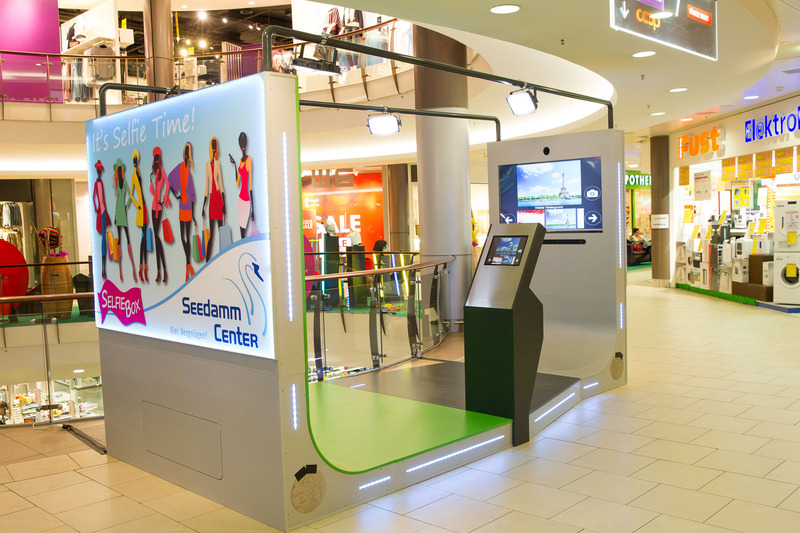 Using dslrBooth software, Foto-Pipe has created a half-pipe green screen photobooth allowing guests to take creative photos while in public shopping centers. Jan, the owner of the Foto-Pipe, is a professional photographer from Germany who came up with the idea after a client asked for an extra large booth. Currently he has two of his foto-pipes set up in shopping centers in Pfäffikon, Switzerland and Cologne, Germany. 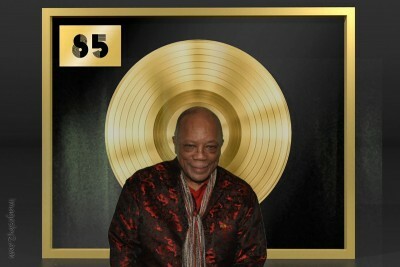 dslrBooth’s green screen function allows shoppers to choose a background, strike a pose and be part of a fun scene. 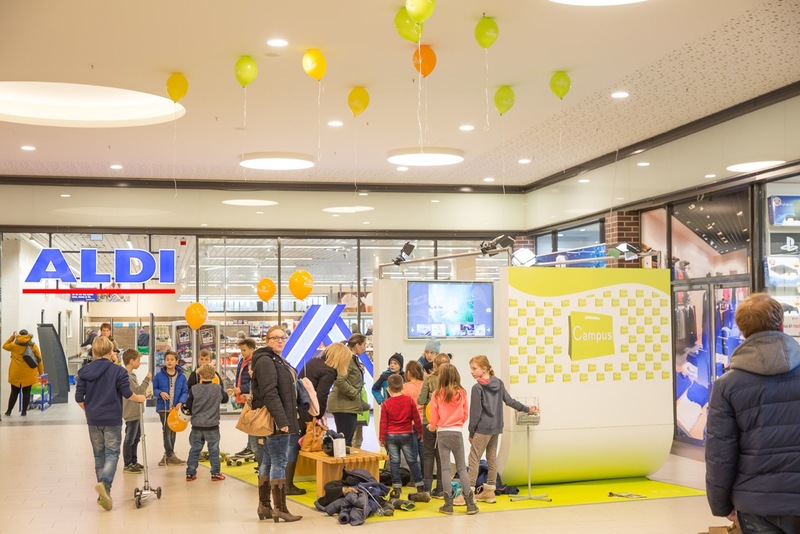 The software and unique setup of the photobooth allows for interactive fun where “people have a good time in the shopping-center and can share that with their friends. It is a sort of motivation to get up and go shopping in the real world” says Jan. Check out Foto-Pipe for more information. Our friends at Cabina Foto Oglinda use dslrBooth’s mirror booth software to create a fun interactive experience for their customers. 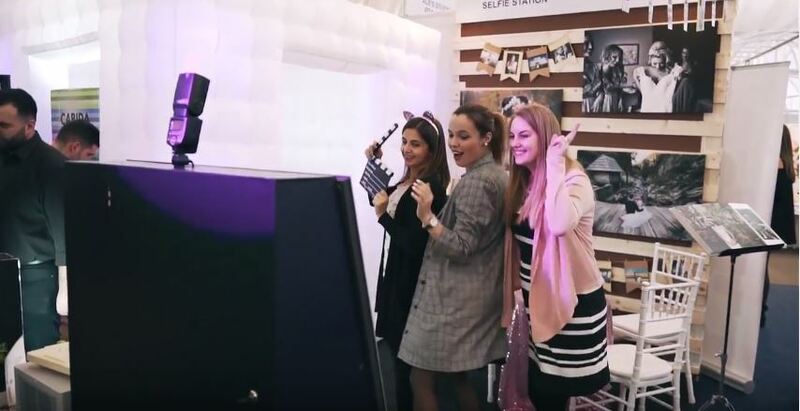 Located in Arad, Romania, Cabina Foto Oglinda is a Photobooth rental company that allows their customers to rent out a mirror booth. Combined with dslrBooth animations and Cabina’s fun props and backgrounds, their photobooths are always a hit. 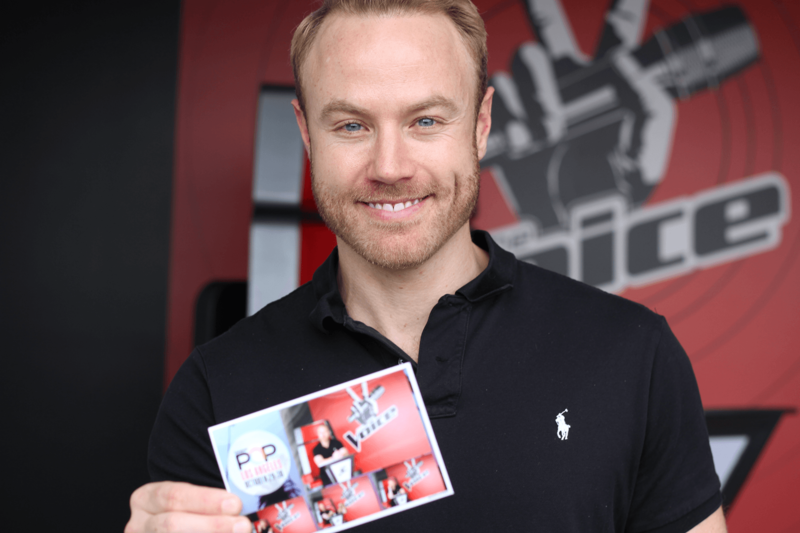 Check out the video below to see their photobooths in action! For more information on their services please check out their Facebook page.